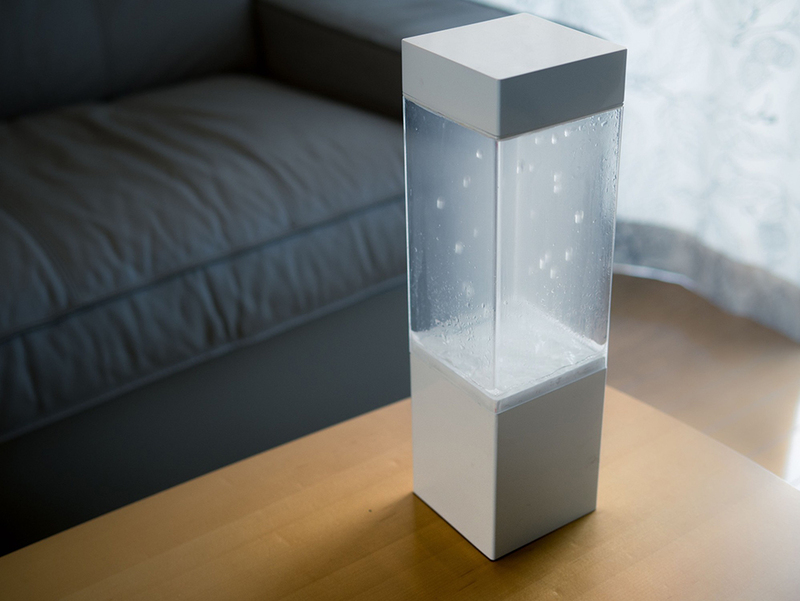 A small box that mimics weather conditions. Tempescope can visualize cloudy, rainy and sunny weather as well as lightning storms using water, air and LEDs. It can mimic local or foreign weather, but you can also manually set it to one of the four conditions.